Custom 12 plastic ruler with standard and metric scales - is an asset to any kids compass box and it softly introduces them into the world of measures. This plastic ruler is created with high quality and non – toxic transparent material, which allows the user to view through pages. 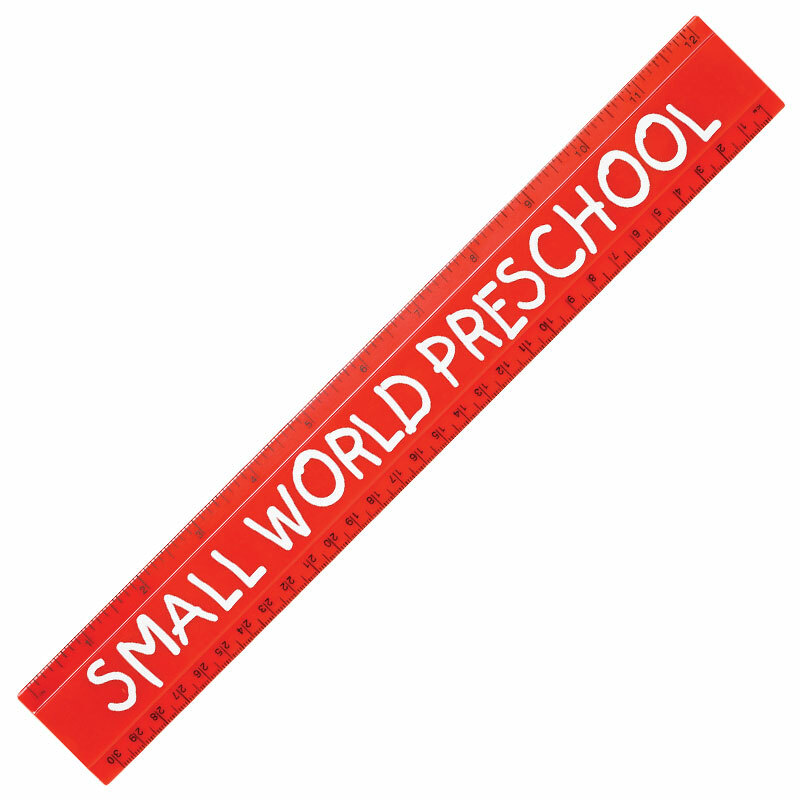 Logoed promotional 12 plastic rulers can be sought for gifting by sports councils, elementary schools, art & craft supplies, kids stores, play schools, and summer camps– for promoting their brand or cause. A personalized 12 plastic ruler is a best bet for investment to all those advertisers who cannot afford to splurge on multimillion advertisements to lure kids. Also, it stands very rare chances of rejection because this ruler is an integral part of school life. Imprint area - 11″ x 3/4″.